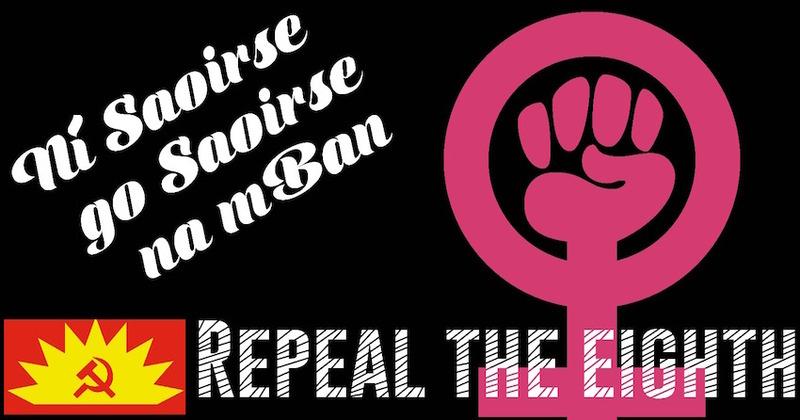 The Communist Party of Ireland issued a statement on the referendum regarding the anti-woman 8th Amendment of the Constitution. According to the statement, there are many aspects of medicine and medical care, other than abortion, that the 8th Amendment influences: ‘A woman with a diagnosis of cancer must submit to a pregnancy test before each treatment. If this test proves positive she will be denied chemotherapy and radiotherapy, because of the impact on the developing foetus.’ The CPI reminded the anti-choicers' argument that the Protection of Life During Pregnancy Act means ‘in the most severe cases a woman’s life will be saved’, but emphasized that the two referandums on the topic limiting the conditions of abortion makes it impossible to put it into practice. ‘For thirty-five years the 8th Amendment has held women hostage to the whims of an outdated and patriarchal notion that they do not know what is best for themselves and must be protected from their own decisions. We must stand with the women of our class and trust in their own ability to think for themselves. ‘When more than half of all women workers are earning less than €20,000 a year, and with an abortion in England costing between €850 and €2,000, we are asking women already hit hardest by the growing precariousness in work and housing to bear the cost of a standard and necessary medical procedure that should be available in their own country. It is not enough that only women with money or the ability to beg, borrow or steal it have the choice whether to have children or not. ‘Those who feel that their hand has been forced are threatened with fourteen years’ imprisonment for taking abortion pills purchased on line. Mifepristone is listed by the World Health Organisation as an essential medicine for safe early-term abortions but is not available to the women of Ireland, which forces them into criminality or to later-term abortions in England when they have gathered enough money together. ‘Pregnancy is not easy for any woman, and it is made all the more difficult knowing that her ability to make a decision in the case of emergency or difficulties during her pregnancy is severely curtailed by the 8th Amendment. ‘The repeal of the 8th Amendment gives women a choice about what they need to do, gives them a choice regarding their future. Repealing the 8th will restore some degree of medical balance between women and men. Men would not accept that, if they had difficulties, certain medical procedures would be withheld from them because of their gender.